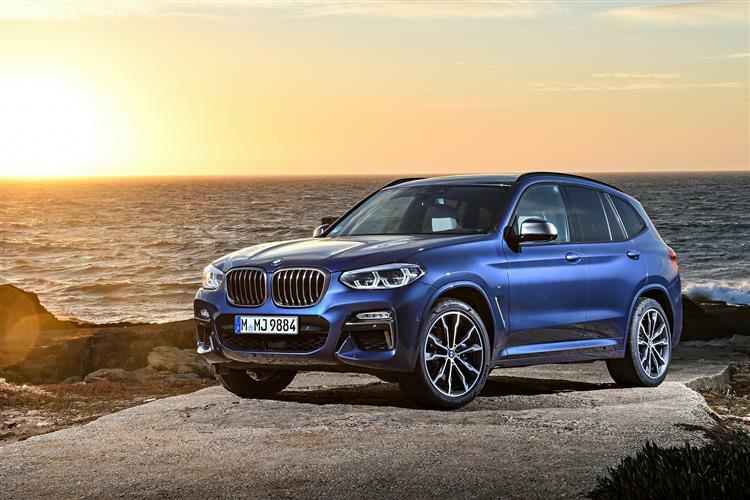 You might think that sandwiched between the X1 and the X5, the X3 wouldn't have to spread its talents too broadly, but such is the span of rivals of this size that this third generation X3 needs to cater for quite different customer expectations in the compact luxury SUV segment. If those expectations extend towards a dynamic driving experience, then the X3 comes well prepared. With ideal 50:50 weight distribution, a finely honed chassis and xDrive intelligent all-wheel-drive, linked to Dynamic Stability Control, this SUV proudly shows off the handling characteristics for which the Munich maker is renowned. 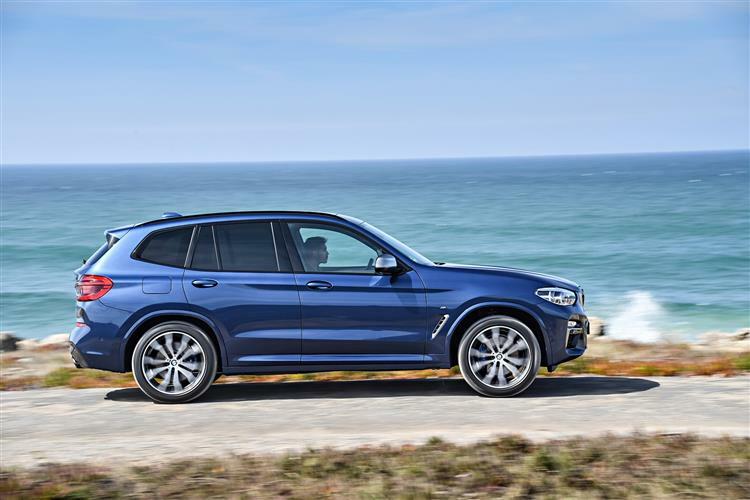 To further improve dynamics, the car is now lighter and rear bias of BMW's xDrive all-wheel-drive system has been increased. As for engines, well as before, most buyers will choose a diesel, probably the 190bhp 2.0-litre xDrive 20d variant. 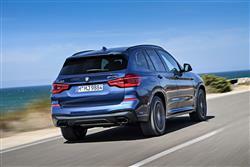 There's also a 265bhp straight-six xDrive30d diesel derivative. And a potent 326hp M40d variant. 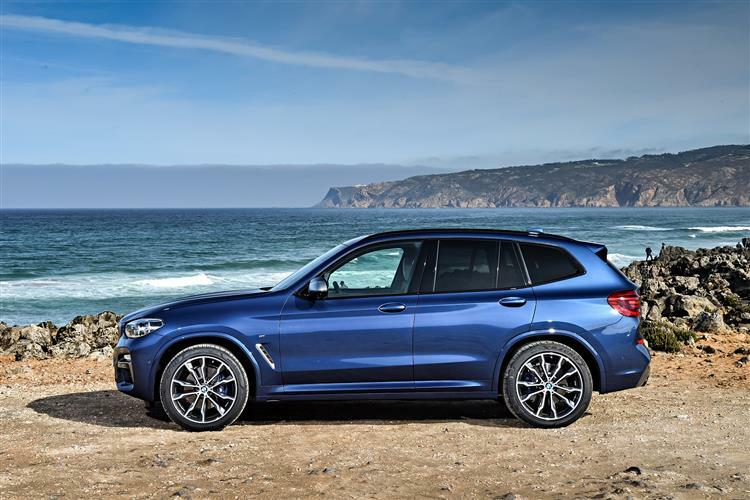 BMW thinks that petrol power will get more of a take-up this time round, so is offering an entry-level xDrive 20i version, plus there's a range-topping 360bhp X3 M40i variant to take on rivals like Audi's SQ5. As usual with the brand, there's an optional Dynamic Damper Control system, optional Variable sport steering and an optional sports braking set-up. 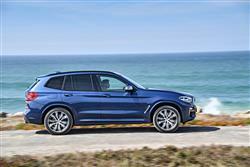 BMW also boasts that a fording depth of 500 millimetres gives this SUV decent off road ability too. Across the range, 8-speed auto transmission is standard. 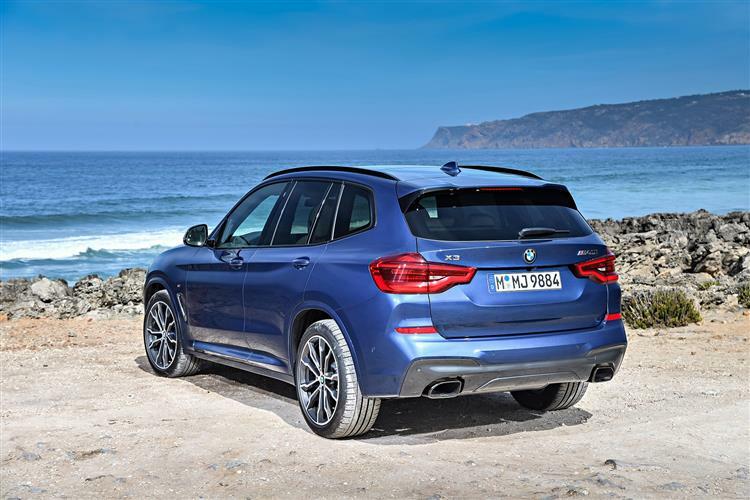 Pricing has risen a bit this time round, presumably to give the only slightly smaller BMW X1 SUV slightly more elbow room. 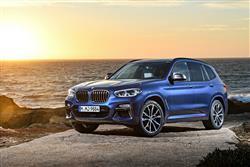 The figures start at around £38,000 and rise to around £52,500 for the top M40d model. 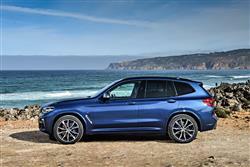 All variants come with xDrive 4WD and 8-speed auto transmission. Whichever variant you select, it'll be easy to spend more than you budgeted or, thanks to a wider range of tempting options. Optional perforated leather climate seats will be popular, perhaps fitted out with active seat ventilation. Another option is a generously sized panoramic glass roof, while optional acoustic front side windows will complement the standard acoustic windscreen glazing to help create even lower noise levels in the cabin. 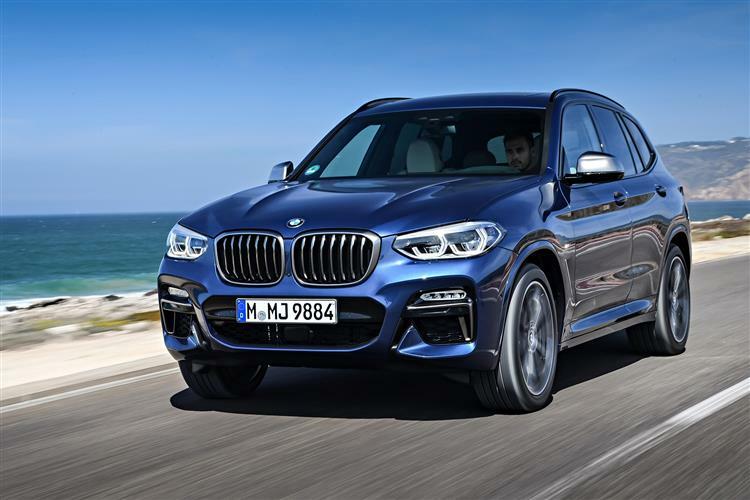 In basic specification, the X3 now has 18-inch light-alloy wheels (it had 17-inchers previously), while wheels up to 21-inches in diameter are available depending on the specification and engine variant. A nice touch this time round is the optional BMW Display Key - like the one found on the BMW 5 Series and 7 Series. The Display Key offers a series of additional features, keeping the driver informed of fuel levels and any service or maintenance work due, and letting them know that the windows and sunroof are closed. Plus, it can also be used to operate the optional auxiliary heating.